SAT. Every year, these three letters strike fear into the hearts of high schools students around the world. The irony is not lost on those who know that the college entrance exam originated in 1926 as an IQ test designed to evaluate US Army recruits. Since that time, there have been many changes to the SAT: In 1994, antonym questions were removed, longer reading passages and open-ended math questions were added, and calculators became permitted; in 2005, analogies were eliminated, more advanced algebra concepts were added to the math section, and the scoring scale changed from 1600 to 2400; in 2009, university applicants were permitted to send their best SAT scores only, instead of sending every set of test results; the most recent change was in 2016, when major alterations included changing the scoring scale back to 1600, and removing the penalty for guessing. 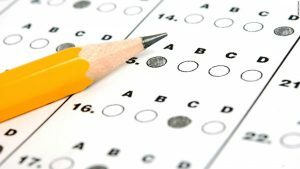 The SAT examination board, also known as the College Board, has said that one reason for the 2016 change was an attempt to cut off any possibility of cheating. International locations, especially in Asia, have been rife with cheating scandals; for example, in May of 2013, both the SAT and the SAT II scores were cancelled throughout the entire country of South Korea after questions were leaked. However, even after the 2016 changes, cheating scandals continue to abound. In January of 2016, the SAT was canceled at test centers across Asia because of a security breach. Reuters revealed in March of 2016 that College Board has always and will continue to recycle old test material, explaining the vulnerability to cheating for both new and old SAT exams. The most recent news in the world of College Board is the cancellation of the international June and November SAT I exam. After this major deletion, international students only have access to four test dates per year, in October, December, March and May, compared to the previous six. These more limited test dates come hand in hand with the introduction of new security measures, including providing law enforcement agencies with the names of all individuals and test prep companies suspected of stealing test materials. Fewer test dates complicate a student’s strategical test-taking timeline, and make it more difficult to plan out the college application process. Students who are applying early for the November 1st deadline will now only be able to take the SAT in October. Some schools, like Georgia Tech, have an even earlier deadline, leaving students with no chance to take the SAT in the fall. Additionally, the October test date may fill up very quickly, leaving students with only the month of December as a backup test date.